In Thailand, “American Sriracha” is met with disdain. One time, walking down the street in the West Village, I saw a guy wearing a pom-pommed ski cap with “SRIRACHA” blazoned across the front. 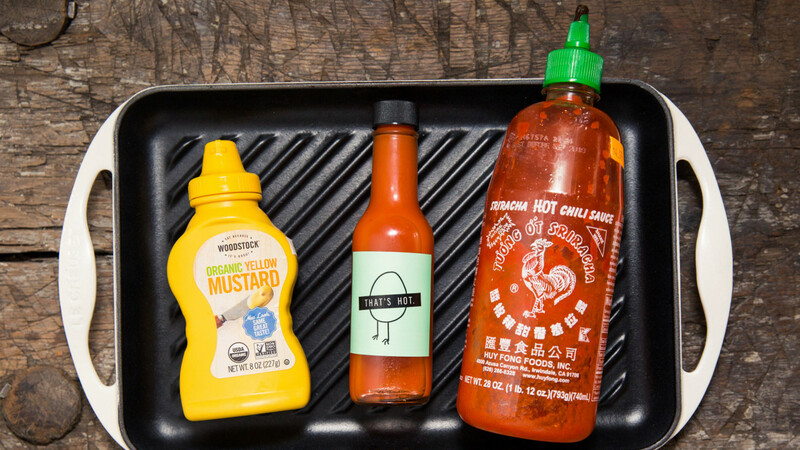 Ten years ago, Bon Appétit dubbed sriracha the “ingredient of the year,” and its popularity has only grown since then. We’ve reached peak sriracha. And yet—the spicy, subtly sweet sauce we’ve all been consuming by the tablespoon is actually a cheap, Americanized knock-off of the real sauce. We’re flavoring our food all wrong. The sriracha you’ve been guzzling—clear bottle, green cap, rooster peacocking across the front—was created by David Tran, a Vietnamese-American immigrant, as NPR reports. But sriracha actually hails from a little town in Thailand called Si Racha, and those familiar with the original recipe were aghast when a reporter came with a taste test that included the anglicized dupe. OG sriracha was created by Gimsua Timkrajang, who, according to family lore, traveled often through Myanmar, Cambodia, and Laos for business and saw that they all had many sauces, utilizing sweet, salty, and sour elements, but none of the sauces combined all three. Sriracha, then, could be thought of as Champagne or Burgundy—not so much a sauce flavor as much as a chili-garlic sauce from a certain region. The great-granddaughter of sriracha’s inventor says her family didn’t patent the recipe, and though she doesn’t hold David Tran’s success against him, she wishes he’d used a different name. In Thailand, Huy Fong Foods’ rooster-brand sriracha is met with disdain. A legit sriracha should register what’s known as klom klom in Thai, which translates as a flawless medley of spicy, sour, sweet, and garlic. In taste tests administered by the NPR reporter, people in Thailand chose the Thai recipe over the one you’ve had on your eggs at the diner every time. If you’re in search of the Thai sriracha, Sriraja Panich is the brand name of one of two sauces created by Gimsua Timkrajang’s family, and it can be found, like everything else, on Amazon. The version we’re used to, sadly, doesn’t have much in the way of klom klom; according to those who tried it in Thailand, the sriracha we have here is overwhelmingly hot and doesn’t meld other flavors well. I guess you could say it’s more clomp clomp than klom klom. Are Your Vegetarian & Vegan Holiday Meals Actually Healthy?